Google’s official mobile phone is dead, but the company is trying to slowly remove all the evidence. Google has announced that its Nexus One Online forums would go Read-Only starting from November 1 which means Nexus One admirers and owners would not be able to post in topics. Nullsoft today released Winamp for Android, a complete media player with extraordinary features. Winamp for Android is currently in beta and has the ability to sync music from your computer to your Android device, add music via WiFi, add widgets and further control your music from the homescreen. As promised Google has issued an update to Chrome after six weeks that includes bug fixes, improvements and adds new features. The recent stable release focuses on fixing hundreds of bugs and includes a few things that might interest developers. 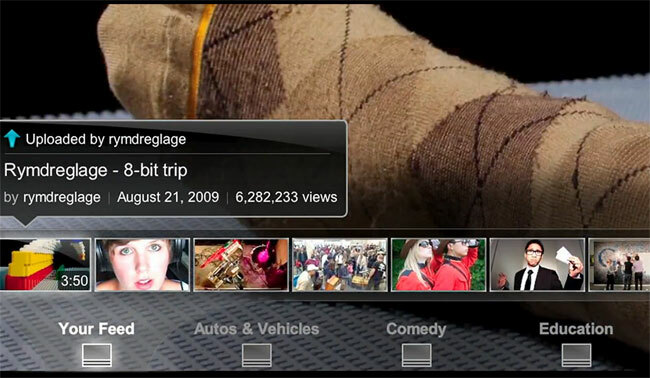 YouTube Leanback has been designed to offer a dynamic YouTube experience on a large screen. On a large screen, you could simply go to youtube.com/leanback and you would notice that videos start playing immediately, are always presented in full screen and HD (when available), and you can easily browse using just the arrow keys on your keyboard. Google does a great job in determining the location of a device and even provides relevant results based on the location. Location used to appear beneath the Google Search bar and location-based results appeared on top of the search engine results page. If you are a heavy user of 3G or send a lot of text messages in a day, it would be a good idea to manage your data transfers. PhoneUsage is an Android App developed by JupiterApps that would help you in this task. Today is John Lennon’s 70th birthday and Google has something interactive for the occasion. Today’s Google Doodle is an exciting image that when hovered upon displays the message “John Lennon’s 70th Birthday, Click to Play!”. Google fanatics and info junkies would probably find it hard to imagine a day without Google News, an automated news aggregator based on algorithms.